Taco - BBC Pump and Equipment Company, Inc.
Taco is an international brand based in the U.S., as well as one of the leading brands in the American HVAC industry. Its brand identity is associated with innovation, excellence, product diversity, and commitment to people. 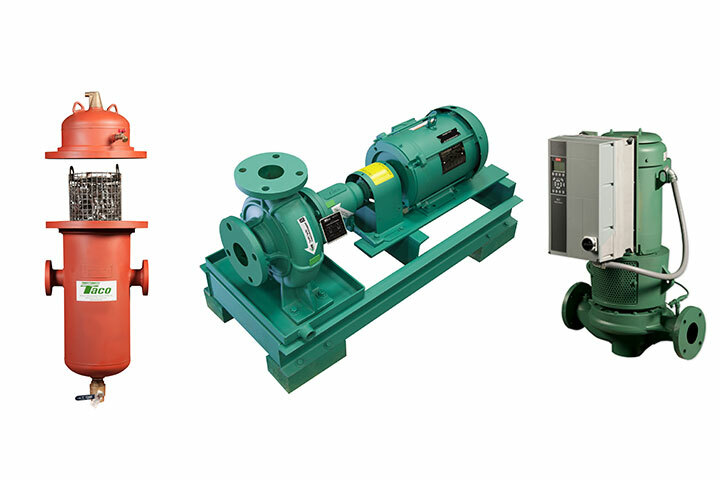 Taco manufactures a diverse line of products for the commercial and industrial HVAC and plumbing markets, including: pumps, ASME air separators, ASME tanks, heat exchangers, controls and much more. High-efficiency Taco Oe pumps with ECM motors to 30HP and self-selsing pump technologies represent some of the most efficient HVAC pump technologies on the market. BBC Pump and Equipment proudly represents Taco in the state of Indiana.